From my inbox, to your screens… what people are trying to get me to talk about. Kicking off San Diego Comic-Con, Cryptozoic Entertainment™, the premier developer of licensed and original games including The Big Bang Theory: The Party Game and Epic Spell Wars of the Battle Wizards: Duel at Mt. Skullzfyre, is proud to host both The Walking Dead™ creator Robert Kirkman and series actor Steven Yuen (“Glenn”). Kirkman will receive fans and sign autographs on Thursday, July 12th from 12 noon to 1 pm in the Cryptozoic Comic-Con Store, at 411 Market Street. Fans can join Yuen on Saturday, July 14th from 2 to 4 pm at the Cryptozoic Comic-Con Store. Kirkman and Yuen’s in-store appearances with Cryptozoic highlight the company’s relationship with both The Walking Dead hit television show and the comic series that started it all. With the surge in popularity among Marvel Super Heroes this summer, a group of lesser-known heroes, villains (and some all-out odd balls) petitioned Marvel Entertainment to grant them a team of their own. A common name they could share and make legendary. A battle cry for evil to fear, and a group name that would out live them all. The “All-Winners Squad” is an ensemble of Marvel cult favorites. Together these previously overlooked characters are destined to make an impact in their own irreverent way. At long last, the All-Winners Squad will break free from comic book pages and obscure corners of the Internet, spreading their unbridled awesomeness to fans everywhere. The National Entertainment Collectibles Association, Inc. (NECA), in partnership with Marvel Consumer Products, will bring their notoriously hip creative to a full line of offbeat All-Winners Squad merchandise launching this fall. Toys, apparel and collectibles will celebrate the solidarity of these newly revived characters. The line casts the spotlight on each member of the All-Winners Squad, giving each a chance to shine individually as well as with their squad comrades. Members of the All-Winners Squad were busy preparing for their first official press conference, with the exception of Doop, who was reachable, but unable to communicate in any intelligible mode. Squirrel Girl, however, was tracked down in Central Park. When approached, she was hopeful and insightful. She then climbed back up her tree. Other members of the All-Winners-Squad will address the public during an exclusive San Diego Comic Con press conference scheduled for Friday, July 13th at 5:30pm. Plume was a well received addition to the web comic community last year, rocketing to a readership of tens of thousands in a short time, and it’s now adding print and digital retail distribution through Devil’s Due Entertainment. Smith will continue to produce the web comic, while Devil’s Due will manage her future crowd funding efforts (which she successfully used in the past to bring Plume to print), film and media licensing, and distribute print editions of the books in comic book stores throughout North America. Devil’s Due Entertainment will also manage digital retail distribution through various outlets on iTunes, Kindle, and various app platforms. Cast from the comedy series Burning Love (BurningLove.com) will be at Comic con and available for interviews. Series executive producer, director and actor Ken Marino (Party Down, Wanderlust, Childrens’ Hospital) and June Diane Raphael (Childrens’ Hospital) will be on hand Saturday, July 14th to talk about their very funny web series that spoofs Bachelor style dating shows. Fan and foe of the reality genre are hooked on Burning Love – the most romantic, comedic webseries ever! Oz Comic Con is Australia’s newest pop culture convention on the block, and it’s made quite a splash this year already. The Adelaide instalment of the convention occurred back in late March, with the larger event being in Melbourne this weekend. As a long-standing comics tragic who’s only recently got back into regularly reading comics in the last year after a ten-year break, I thought a trip to Oz Comic Con was the way to make my return to my longstanding love with a vengeance. I chose the new kid on the block convention-wise for one reason and one reason only: Stan Lee. Sure, Patrick Stewart and a bunch of other very notable pop culture figures were here, but Stan’s first trip to Australia was something I couldn’t miss out on. I mean, the guy hits 90 this year and he’s said himself it was probably his last opportunity to get down here to meet people. Hence the trek from Wollongong to hand over AU$250 to shake Stan lee’s hand and have him autograph my Daredevil #3 issue. More on that later, but first some overall impressions on Oz Comic Con more broadly. As the newest entrant in the market, they’ve made some big claims and it’s with no great pleasure that I have to say that at the end of Day 1, this Con has a very mixed report card. If the organisers were worried about their event being well attended, then they can worry no longer, with thousands more people turning up than expected. That said, Oz Comic Con has some other things to be seriously concerned about. For starters: this convention was oversold ticket-wise and oversold badly. While lining up formy photo/autograph tokens, I heard numerous reports of pre-paid general ticket holders not being able to gain entry mid-morning due to the venue being packed. This was backed up by reports from other media I spoke with, as well as one of the comic artists present. You could also check the Con’s Facebook page to get an idea of some of the aggro. By the afternoon, a halt on ticket sales had been called for the day – I was out with the queue of more than 500 people waiting to get in when the announcement was made and the reaction was muted given the majority hadn’t pre-paid – it was always a gamble for them. It’s a bad look for any convention having pre-paid attendees miss out – offering refunds doesn’t really cut in when it gets to that. One other gripe I have to raise, that was also a result of the overcrowding, was the lack of communication on lining up. The staff at the start of the line were great, but there were literally hundreds of people asking each other which line it was – that’s not particularly unusual but this was notched up big time. Different volunteers gave out different information at times and the announcements over the ample PA was minimal – someone regularly making announcements would have made a big difference. There were also significant delays with picking up photos, getting tokens for photos and autographs and so on. Back to Stan Lee. Even having paid my $250 for an Excelsior ticket, I was just one of a throng lined up for the opportunity of a handshake, photo and autograph. I spent quite a bit of time prior to the event trying to think of something engaging to say to Stan in that blink of time available, but I ended up mumbling something about how I hoped he had a nice trip Down Under. Like every video I’ve ever seen of him interacting with fans, Stan was gracious in the 15 seconds each person had. If I manage to pull off both being alive and as nice at the same age, I’ll have really achieved something. Overall, Oz-Comic Con has probably been taken aback by the level of response in Melbourne. Either that or there was significant underestimation of the space and resources needed to service so many people. Rivals Supanova and Armageddon will have been watching this weekend closely, and I think will be realising that they definitely have someone else to compete with. That said, unless next year’s event caters adequately to the numbers of people who buy tickets, as well as backing up with guests as big as Stan Lee and Patrick Stewart as headliners, they definitely won’t be sitting as pretty as the incumbents. Hopefully the wads of cash raised from cramming too many people into a small space this year will lead to a bigger venue next year. That would make this the Con the event it should be. Over to you: did you attend Oz Comic Con and if so what did you think? I’ll be back with a follow-up piece showcasing some of the Aussie comic talent you should be checking out. Craigslist Joe is another documentary in the “social experiment” tradition that brought us stories a man trading up from a paperclip, another feasting on McDonalds and lord alone knows how many people called Dave Gorman. I understand Zach Galifianakis was a producer on this film. No idea whether or not he was recruited via Craigslist. Zak Penn and Scott Murphy will join Avatar Press at San Diego Comic-Con to celebrate the launch of Hero Worship #1, their new comic book miniseries of superheroes revered — and manipulated — as celebrity icons. Penn is Hollywood’s premiere superhero screenwriter, with numerous Marvel films under his belt (Avengers, Incredible Hulk, X2, X-Men: The Last Stand), while Murphy is one of the guiding forces behind Lucasfilm’s Star Wars: The Clone Wars computer-generated cartoon show. They will be signing at Avatar Booth #2701. To commemorate their promotional appearance at SDCC, Avatar Press is creating a special limited edition comic book, the HERO WORSHIP #1 SDCC EDITION. Avatar will make this comic available for retailers for direct order — a first for the company — as a special SIGNED edition that will otherwise never be offered through other channels. This is a rare opportunity to pick up creator autographs from two of Hollywood’s elite! Here’s a look at the cover image, plus information on how retailers can order this product directly from Avatar Press. If you’d like more insight into the great Hero Worship series , please visit some of our previous behind-the-scenes coverage, including the first announcement, an in-depth interview with Zak Penn, a revealing interview with Scott Murphy, and finally, a nine-page preview and interview with artist Michael DiPascale. The post Major Spoilers Question Of The Day: I Always Liked Kimber Best Edition appeared first on Major Spoilers - Comic Book Reviews and News. Neil Milton writes for Bleeding Cool. This documentary film takes us into the world of independent video game development, and allows us to share the time chasing up crucial deadlines in the process of creating a video game either, solo (Phil Fish with FEZ and Jonathan Blow with Braid), or as a pair (designer Edmund McMillen and programmer Tommy Refenes with Super Meat Boy). These chaps aren’t part of a large multinational game development company who have vast resources and thousands of developers on one game. They are creating unique pieces of interactive entertainment whose influences come from deep within themselves. Unencumbered by a corporate directive to appeal to a certain demographic, or produce to a set design criteria, the three main subjects are free to create whatever the hell they want, but this freedom comes at a massive cost, both financially & personally as we see through the course of the film as the filmmakers provide us with a very up close perspective of the process of creating and releasing an independently developed video game. Indie Game: The Movie is a superbly produced film, allowing the subjects to tell their own stories with hardly any noticeable prompting or audible questioning from the filmmakers themselves. Each subject’s location is presented simply with some beautiful external location establishing shots that made me feel I was right there with them. Fantastic editing built the tension as deadlines approached. This worked to such an extent that I had to pause the film after about an hour to take a breather. And I WANTED them to succeed. I got emotionally involved with what was going on in the development of their games, but also in their lives, and the lives of those around them. Indie Game will be an invaluable document in the future when we look back at the evolution of independently produced & distributed entertainment & art as we move away from traditional distribution of not only games, but film, TV & music. The film itself was partly funded by two Kickstarter appeals, as well as the personal investment of the filmmakers themselves. Care and respect for the subjects shines through, and I experienced a certain sadness when it finished as I wanted to see more of this world we’d been allowed into. Luckily, as well as the current physical and digital distribution, they are also working on a special edition which will feature much more footage & interviews for future release. Can’t wait! This is a film about about drive, ambition, single-mindedness, and total commitment to reaching a sometimes seemingly impossible goal. And it’s totally inspiring. As with all the best documentaries, don’t be put off by the subject if it doesn’t initially seem to be your bag, because as much as anything else, it’s about the people on screen and how the way the life they have chosen affects them, and those around them. Oh, and the icing on the cake is a beautiful soundtrack by SuperBrothers: Sword & Sworcery soundtrack artist Jim Guthrie. Indie Game is available now, both to download and stream. Previously: the film’s superb trailer. 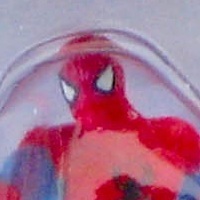 The post SDCC’12: Last Monogram International Exclusive appeared first on Major Spoilers - Comic Book Reviews and News. Louis Falcetti writes for Bleeding Cool. He will be reporting for us from San Diego Comic Con. I don’t know how it happened, but we blinked and ended up suddenly in a new golden age of comic book science fiction. Maybe it has to do with the whole “end times” vibe that’s been creeping into our pop culture consciousness since Terrence McKenna came down off the mountain, bearded, tripping and mad. It also doesn’t hurt when Hollywood sinks a trillion dollars into a movie who’s theme is literally “THIS IS THE LAST YEAR EVER” (*for everyone except John Cusack and Lance Henriksen). For whatever reason, right now some of the best comic book science fiction in our post millennial ‘verse (hey firefly is reuniting, I can bust out the browncoat slang) is coming out right now. More importantly than that, it’s being done by the independents. While the big 2 scream hollow nonsense about marketing gimmicks disguised as story ideas the independents are killing it, as far as fun, enjoyable, smart, interesting and more importantly, different science fiction comics are concerned. Image is enjoying the BKV one-two punch of critical/commercial success as Saga #1 enters it’s 36th printing (guesstimate based on wild speculation and gross, emotional fandom) but over at BOOM they are quietly bringing a real science fiction renaissance through the work of writers Humphries, Spurrier and as of this week Abnett & Lanning. The Hypernaturals is the book I’m talking about and if you didn’t buy it on Wednesday, then take your money and shame over to ebay because this is a book that you want to be getting in on the ground floor with. Hypernaturals feels like the culmination of so many different tried and true sci-fi and superhero comic themes, but doesn’t at all feel stale, tired or uninspired. Instead, it’s a marriage of Legion-esque space heroes meeting Milligan’s superheroes-as-celebrities of X-Force with a dash of Morrison infused space opera but all diced and chopped and stewed in a pot by master chefs Abnett & Lanning, who balance the whole wild ride out with their absolute mastery of character, pacing and heady UK scifi sensibilities. It takes place in a future so far away that our conventional time keeping methods are irrelevant and gone, for it’s the year 100 AQ as we’re told straight away via a computer interface that was prescient when Grant did it in Invisibles Vol. III over a decade ago but now resembles the wizarding square of future science most of us carry in our pockets. We quickly learn that this future world is a lot like our world, there is still celebrity gossip, sports scores, weather and business news. What we’re lacking however are Hypernaturals, groups of super powered individuals who coincidentally enough have been gathering for five year stints on said team ever since the singularity 100 years ago (A for ANNO and Q for Quantinuum, the new godlike computer that controls EVERYTHING) (seriously, everything). The story has all it’s hooks out, like Dustin Hoffman cutting class to watch I Know What You Did Last Summer, THAT many hooks. We know that the Hypernaturals beat Sublime seven years ago, but if that’s true, then why is his enormous fingerprint LITERALLY etched into the side of a planet. What happened to the 21st Hypernaturals team? All the classic story start stops are pulled out, we’ve got a fallen, washed up hero in Hatch Gorman (a character with a name so Philip K. Dickian I wouldn’t be surprised if he wakes up to discover he’s not real or that the Nazis won) who’s the ex-lover of current Hypernaturals media liaison, ex-Hypernatural herself, Bewilder (who is involved in a relationship with the current, years younger head of the team for an extra layer of love triangle drama and tension). There’s Thinkwell, who most resembles the so-passe-they-have-to-be-coming-around-again “classic” gray alien, with a brain like Reed Richards or Mark Waid’s Qubit and inky fingers like taking LSD with Ralph Steadman. On top of all this, we have a book with zero ads (until the back and they’re just promos for other BOOM goodness) and lots of fun extras, like an interview with Bewilder and recruitment ads for the team itself. It’s a $3.99 book but it’s well, well worth it. You as a comic reader have a remarkable opportunity to get with a great book that’s just warming up and if you like that, don’t forget to check out Spurrier’s “Extermination” and Humphries’ “Higher Earth” for more BOOM Sci-Fi perfection and fun. 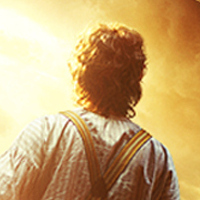 The post SDCC’12: The Hobbit is confirmed for Hall H appeared first on Major Spoilers - Comic Book Reviews and News.